627. A 34-year old female presents to the dental clinic with a history of Crohn’s disease and chronic IBD. She complains of sore oral ulcerations with oral malodour for about one month. Upon intra-oral examination, you find multiple exophytic pustules with yellowish appearance on the tender erythematous base that covers the entire gingiva, buccal mucosa, and vestibular oral mucosa. The oral lesions resemble “SNAIL TRACKS”and appear histologically as intraepithelial clefting and acantholysis with eosinophil accumulation within the spinous layer. The underlying connective tissue shows mixed inflammatory cell infiltration. The diagnosis is PYOSTOMATITIS VEGETANS. 628. PYOSTOMATITIS VEGETANS (PV) most commonly affects the labial gingiva, soft and hard palate, and buccal and labial mucosa. PV rarely affects the tongue and mouth floor. BOTH TRUE. VITAL PULP EMERGENCY: patient may report spontaneous, sharp, or radiating pain. Classic chief complaint is sudden, intense, and prolonged painful response to COLD. Vital Emergency Treatment: achieve profound anesthesia (can be tough), reduce occlusion if needed, prepare access cavity, and perform pulpotomy. If bleeding stops, place a dry cotton pellet and place a provisional restoration or complete definitive treatment if time permits. If bleeding persists from a specific canal after completing the pulpotomy, extirpate the pulp from the culprit canal. NECROTIC PULP EMERGENCY: patient may report dull, throbbing ache, pain from biting pressure and/or intra/extra oral swelling. Classic chief complaint is severe pain to HEAT that is alleviated by a cold liquid. Necrotic Emergency Treatment: anesthetize, isolate and perform pulpotomy only then adjust occlusion. Place one large cotton pellet in access cavity and LEAVE TOOTH OPEN to drain exudate for 3-4 days is the most predictable relief. Complete RCT at next scheduled appointment. TEST PEARL: 1,001+ HIGH-SPEED DRILLS NBDE I and NBDHE! 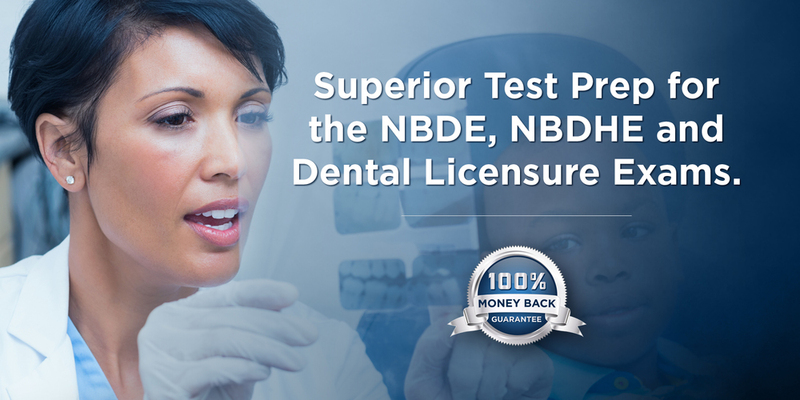 As the author of DENTIN's 1,001+ HIGH-SPEED DRILLS for the NBDE I and NBDHE, I developed these amazing HIGH-YIELD study guides as critical study supplements to my NBDE I and NBDHE comprehensive study guides. 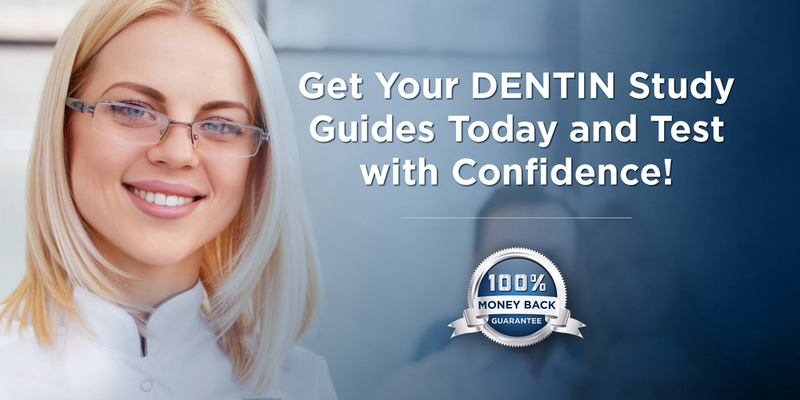 1,001+ contains over 1,000 dental board exam questions that have been converted into CORRECT statements with CORRECT answers ("drills"). I then organized these "drills" by exam subject to allow you to focus your study on the subject you desire and cross-reference the "drills" with the comprehensive study guide. As a former dental student, I wish I had a resource like 1,001+ High-Speed Drills, so I developed these "high-yield" study aids exclusively for you. Your investment in this high-yield study guide is well worth the time you will save, and the knowledge and confidence you will acquire to easily pass the NBDE I or NBDHE. Local anesthetics should NEVER be frozen while being shipped or stored. Frozen anesthetic can compromise the seal of the rubber plunger in the carpule and subsequently introduce AIR into the anesthetic solution and degrade the anesthetic. When administering local anesthetic ALWAYS aspirate to ensure that the needle is not entering a blood vessel. If a positive aspiration occurs (blood in the carpule), REDIRECT the syringe and re-aspirate until a negative aspiration is achieved. Dentinal hypersensitivity is discomfort (sharp, shooting, or stabbing pain) caused by exposed dentin and open dentinal tubules (often due to gingival recession). The open dentinal tubules permit rapid fluid movement inside the tubules that subsequently stimulate pulpal mechanoreceptors. Dentinal hypersensitivity most commonly affects the buccal surfaces of premolars (but can occur on any tooth). Causes include overzealous toothbrushing, periodontal disease, acidic diet, GERD, and xerostomia. Treatment involves occluding (blocking) the open dentinal tubules orifices with glass ionomer or CPP-ACP varnish to physically prevent pulpal hyper-stimulation. The immunoglobulin commonly found in HIGH CONCENTRATIONS in SALIVA, BREAST MILK, and MUCOSAL LININGS of the respiratory and GI tracts is IgA.